To support this scenario and to reduce the project development time, you chosen to use a web service for syntax highlighting, such as http://pygments.org/ or http://www.hilite.me. Although this feature can be implemented without web services (using different syntax highlighter libraries for .NET), we are using them just to show some pitfalls regarding to their usage in web applications. You can substitute this example with real-world scenario, like using external SMTP server, another services or even long-running CPU-intensive task. This section contains steps to prepare the project. However, if you don’t want to do the boring stuff or if you have problems with project set-up, you can download the tutorial source code and go straight to The problem section. The tutorial uses Visual Studio 2012 with Web Tools 2013 for Visual Studio 2012 installed, but it can be built either with Visual Studio 2013. The project uses .NET 4.5, ASP.NET MVC 5 and SQL Server 2008 Express or later database. Let’s start from scratch. 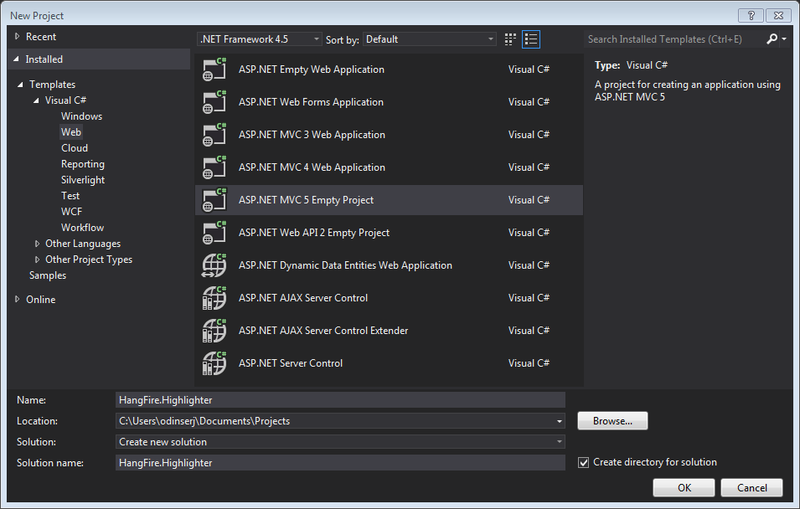 Create an ASP.NET MVC 5 Empty Project and name this awesome web application Hangfire.Highlighter (you can name it as you want, but prepare to change namespaces). We have a controller with a single action. To test that our application is working, scaffold an empty view for Index action. Let’s test the initial setup of our application. Press the F5 key to start debugging and wait for your browser. If you encounter exceptions or don’t see the default page, try to reproduce all the given steps, see the tutorial sources or ask a question in the comments below. We should use a persistent storage to preserve snippets after application restarts. So, we’ll use SQL Server 2008 Express (or later) as a relational storage, and Entity Framework to access the data of our application. Our database is ready to use! Now its time to breathe life into our project. Please, modify the following files as described. // We'll add the highlighting a bit later. To not to profile our application by eye, we’ll use the MiniProfiler package available on NuGet. After installing, update the following files as described to enable profiling. // so we are using wrapper to perform a sync call. Then, call it inside the HomeController.Create method. We are using synchronous controller action method, although it is recommended to use asynchronous one to make network calls inside ASP.NET request handling logic. As written in the given article, asynchronous actions greatly increase application capacity, but does not help to increase performance. You can test it by yourself with a sample application – there are no differences in using sync or async actions with a single request. This sample is aimed to show you the problems related to application performance. And sync actions are used only to keep the tutorial simple. You can use the hosted sample to see what’s going on. 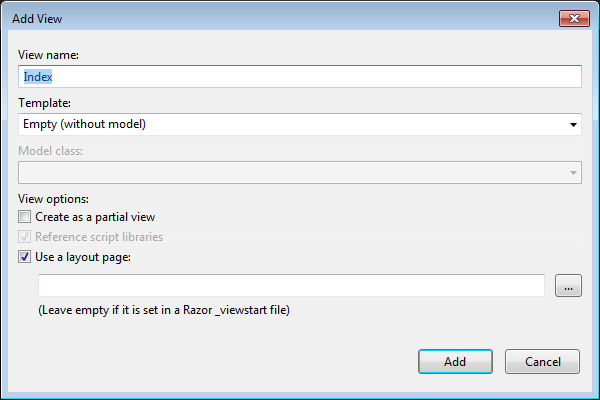 Now, when the application is ready, try to create some code snippets, starting from a smaller ones. Do you notice a small delay after you clicked the Create button? As we see, call to web service is our main problem. But what happens when we try to create a medium code block? The lag is increasing when we enlarge our code snippets. Moreover, consider that syntax highlighting web service (that is not under your control) experiences heavy load, or there are latency problems with network on their side. Or consider heavy CPU-intensive task instead of web service call that you can not optimize well. Your users will be annoyed with un-responsive application and inadequate delays. Use recurring tasks and scan un-highlighted snippets on some interval. Use job queues. Your application will enqueue a job, and some external worker threads will listen this queue for new jobs. Ok, great. But there are several difficulties related to these techniques. The former requires us to set some check interval. Shorter interval can abuse our database, longer interval increases latency. DO NOT run long-running processes inside of your ASP.NET application, unless they are prepared to die at any instruction and there is mechanism that can re-run them. They will be simple aborted on application shutdown, and can be aborted even if the IRegisteredObject interface is used due to time out. Too many questions? Relax, you can use Hangfire. It is based on persistent queues to survive on application restarts, uses reliable fetching to handle unexpected thread aborts and contains coordination logic to allow multiple worker threads. And it is simple enough to use it. YOU CAN process your long-running jobs with Hangfire inside ASP.NET application – aborted jobs will be restarted automatically. After the package installed, add or update the OWIN Startup class with the following lines of code. That’s all. All database tables will be created automatically on first start-up. First, we need to define our background job method that will be called when worker thread catches highlighting job. We’ll simply define it as a static method inside the HomeController class with the snippetId parameter. Note that it is simple method that does not contain any Hangfire-related functionality. It creates a new instance of the HighlighterDbContext class, looks for the desired snippet and makes a call to a web service. Why the Model.HighlightedCode returns null instead of highlighted code? This happens because of latency of the background job invocation – there is some delay before a worker fetch the job and perform it. You can refresh the page and the highlighted code will appear on your screen. But empty page can confuse a user. What to do? First, you should take this specific into a place. You can reduce the latency to a minimum, but you can not avoid it. So, your application should deal with this specific issue. 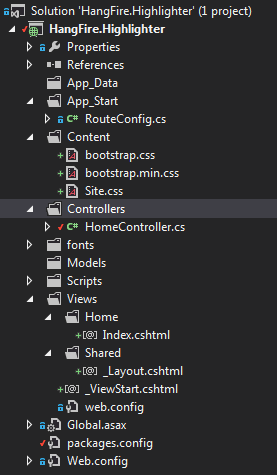 Or you can also use send a command to users via SignalR channel from your HighlightSnippet method. But that’s another story. Please, note that user still waits until its source code will be highlighted. But the application itself became more responsive and he is able to do another things while background job is processed. Sometimes you can’t avoid long-running methods in ASP.NET applications. Long running methods can cause your application to be un-responsible from the users point of view. To remove waits you should place your long-running method invocation into background job. Background job processing is complex itself, but simple with Hangfire. You can process background jobs even inside ASP.NET applications with Hangfire. Please, ask any questions using the comments form below.